Granbull in game: 384 Who? Important notice! Pokemon Granbull is a fictional character of humans. Granbull (Japanese: グランブル Granbull) is a Fairy-type Pokémon introduced in Generation II. Prior to Generation VI, it was a Normal-type Pokémon. A female Snubbull ran away from its home and followed Team Rocket (and by extension, Ash and his friends) around the Johto region for a short while. She evolved into Granbull in The Trouble with Snubbull and returned to her owner, Madame Muchmoney. Cassidy's Granbull debuted in Sleight of Sand!. Dawn took on a Coordinator, named Mario, who used a Granbull during the Lilypad Contest in Dressed for Jess Success!. A Granbull also appeared in the opening of the movie Spell of the Unown: Entei under the ownership of a Trainer named Lisa. Two Granbull were among the Pokémon competing in the Sumo Conference in Ring Masters. 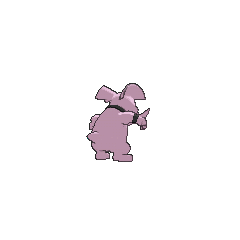 In Extreme Pokémon!, a Granbull appeared with its Trainer, practicing and participating in the Extreme Pokémon Race. A Granbull appeared on a poster in A Marathon Rivalry!. A Granbull appeared in Analysis Versus Passion! under the ownership of Remo. It was only seen on the scoreboard of his Lumiose Conference match with Alain. EP175 Granbull Ash's Pokédex Granbull, the Fairy Pokémon. 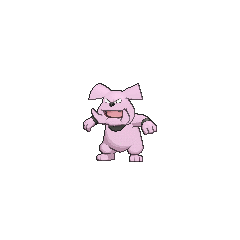 The evolved form of Snubbull. Granbull has extreme fighting power due to its heavily muscled jaw and its strong teeth and tusks. 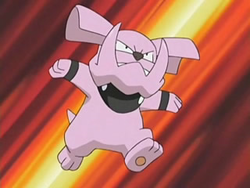 A Granbull appeared during a flashback in The Redemption as one of the many Pokémon fighting in the great war of Kalos, 3000 years previously. Two were later seen petrified after the ultimate weapon was used by AZ to end the war. In The Last Battle XIII a Granbull was one of the Pokémon sent to help the fight in Ilex Forest. Green's Snubbull evolved into Granbull in the Sevii Islands. In the X & Y chapter, when Emma was part of the Lumiose Gang, a Granbull was seen under their ownership. 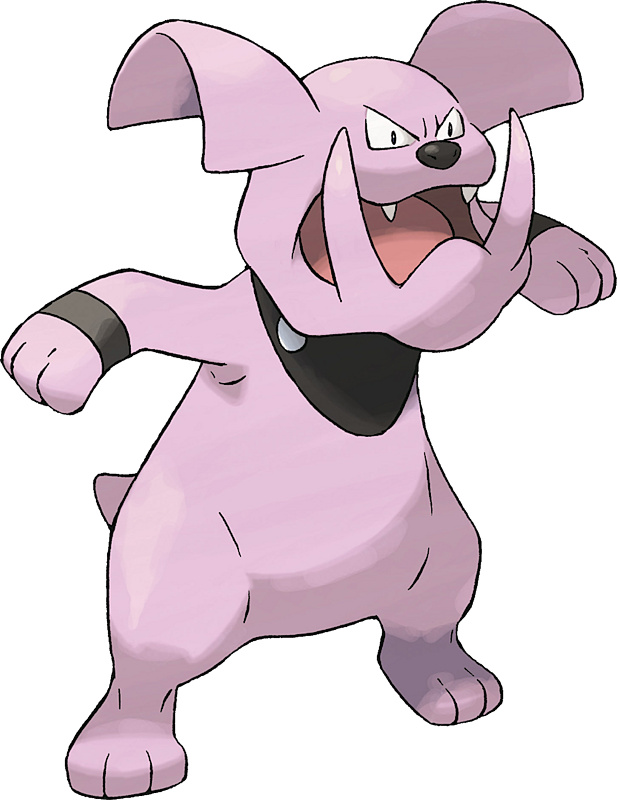 Granbull is based on a bulldog. Its category and type may reference the Cù Sìth, a mythological creature in Celtic mythology whose name literally translates to "dog fairy". 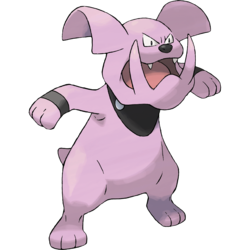 Granbull may be a combination of grand and bulldog or bully (referencing its tendency to scare foes with its fangs or even bite them). It may also reference grumble (referring to its grumbling, growling tendency). Japanese グランブル Granbull From grand, bulldog, and bully.